From the leader in velvet bedding and home decor, this new twist on plush window combines crystal velvet face cloth with a surface pleated texture to give you luxurious fashion for your bedroom. The crystal velvet face has an amazingly soft hand and the pleated finish is a great coordinate to a variety of rooms. 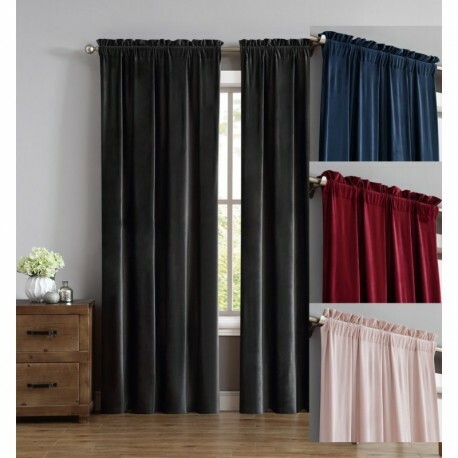 Each set features a three inch rod pocket (window hardware sold separately) and can be machine washed.